Newham Council are under investigation after it emerged they spent £91.5m on five properties hundreds of miles away. The decision was made discretely by a number of highly placed individuals in the council in 2017 last year, according .In their annual report to the council, auditors from Ernst & Young raised concerns about the practice a full year after the £91.5m was spent. Ernst & Young , who conducted the investigation highlighted the council’s valuation of its investment properties as a “serious risk”, adding that they were not yet “comfortable” that the given values were correct. They said: “Five investments totaling £90 million were made under the delegated authority for decision-making and as such were not reviewed by full cabinet. In their annual report to the council dated November 9, auditors from Ernst & Young were alarmed about the practice which came to light 12 months after the £91.5m had been spent. They stated the council’s valuation of its investment properties to be a “serious risk”, adding that they were not yet “comfortable” that the given values were correct. They said: “Five investments totalling £90 million were made under the delegated authority for decision-making and as such were not reviewed by full cabinet. The acquisitions were discussed on numerous occasions during mayoral proceedings last year under the previous mayor, Sir Robin Wales. The press and public were excluded from the process of all dicussions. The final sign-offs for at least four of the buys were delegated to the then-assistant chief executive, who took the decisions behind closed doors between July and November. There is no record of when the fifth and most expensive property was dealt with, but part of it was ostensibly leased to a government department the following month. The first property was Saint Paul House, Redhill, Surrey, which was bought on August 25, 2017 for £26,377,811. Another was a four-storey, 51,333 sq ft office building that had received a Grade A refurbishment earlier in the year. The building is home to Travellers Insurance UK and car insurer PSA Finance UK Ltd, amongst others. Lease of the property was discussed privately at mayoral proceedings on September 7, 2017. Eight hours earlier on the same day, officers had rubber-stamped a £19.7m deal to buy another office block in the West Midlands. Minutes taken at the meeting state that the mayor considered plans to lease the ground floor south wing of the property to “a government department” for a term of 10 years with a five-year break. 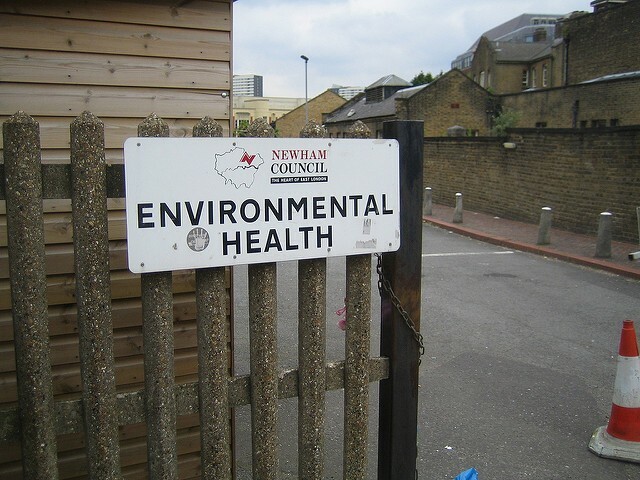 Newham Council used its powers of general exception to push the decision through quickly and without a 28-day notice period. The second property was Samuel Ryder House, Nuneaton, West Midlands: Bought on August 9, 2017 for £19,782,336 . Samuel Ryder House is the UK headquarters of health food giant Holland & Barrett, which this year was expanded to add a further 48,000 sq ft of space to the premises. Holland & Barrett raked in £655.5m in sales that financial year, a rise of 7.1 per cent on the year before, although profit before tax fell from £114.6m to £72.5m.The property was bought by Newham within a month of its announcement that Holland & Barrett was to be bought by L1 Capital, an investment fund owned by a Russian oil billionaire. The deal was approved at Newham’s at 8.30am on Thursday, the investigation reveals. The huge 153,481 sq ft complex is the largest in the West Midlands, and was previously owned by courier service City Link. It consists of a vehicle maintenance unit, a distribution warehouse space, offices, a vehicle maintenance unit, a workshop and a store on two sites on the Black Country Route.It was bought by a private investor on behalf of City Link in 2010.